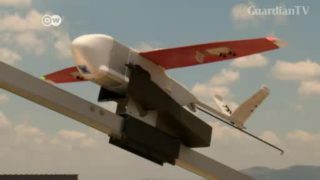 Rwanda made headlines as the first country to pilot blood deliveries by drone. 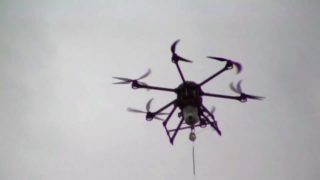 Ghana’s parliament has now approved its own drone project, despite initial skepticism. 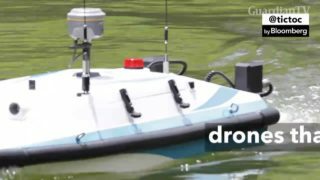 This is Oceanalpha, China's largest boat drone maker. 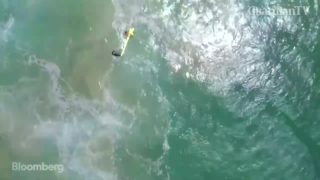 A drone was sent a kilometer out to sea to drop a flotation device for two teenagers who got caught in a riptide. 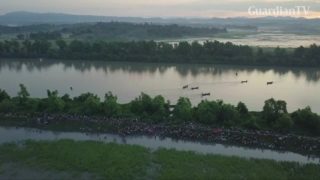 Drone footage shows vast numbers of Rohingya refugees from Myanmar entering Bangladesh, arriving by boat and walking through flooded fields. 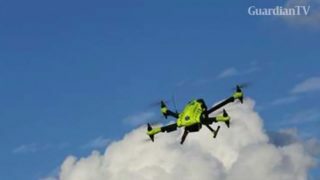 Researchers have developed a drone with the capability of transporting and delivering an AED (Automatic External Defibrillator) to rural areas in the first few minutes after cardiac arrest to facilitate early defibrillation. The first app-based solution to help drone owners and general aviation (GA) pilots avoid collision has been launched in Switzerland. 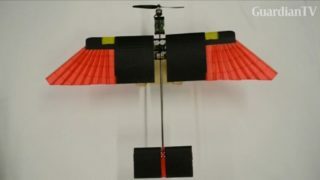 A drone that uses retractable feather wings, mimicking the natural flight of birds, has been designed by researchers in Switzerland. 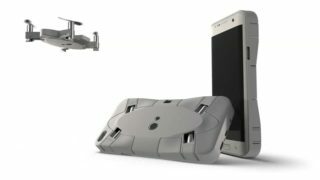 A drone that lives in your phone case is hoping to replace the selfie stick with options and angles way beyond arm's length. A low-cost unmanned aircraft system that powers an airborne drone via a tether could give search and rescues teams a continuous eye-in-the-sky.